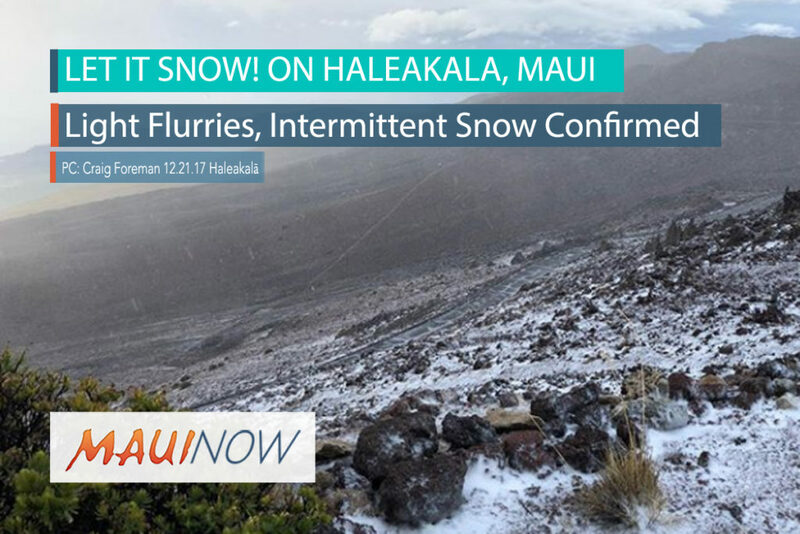 We are receiving more observations and images from Maui residents that experienced a “snow day” overnight on March 4, 2015. 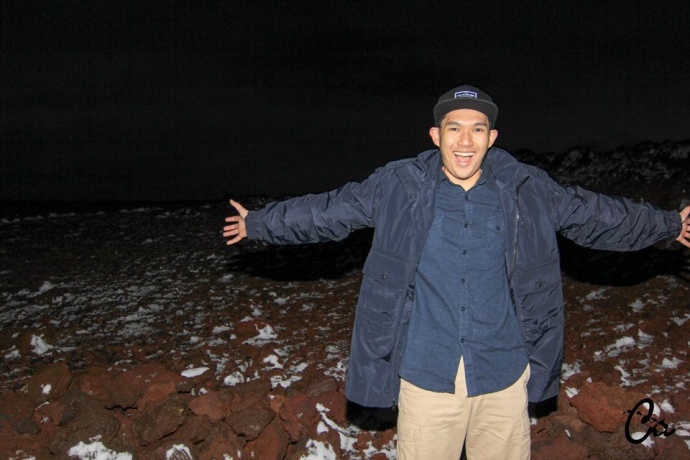 Maui kama’aina, Chaz Antonio, was first alerted of the snow by a friend who lives on Crater Road. He and some friends decided to drive to the summit and check it out for themselves. They got up to the summit at about 12:30 a.m. He says it was really clear and some light snow was falling on them when they first arrived. By 2:30 a.m. when they headed back down from the summit, clouds and mist had rolled in and the snow was melting. Chaz was raised Up Country and this was his first time seeing snow! 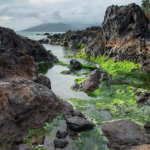 See a slideshow of his images below. 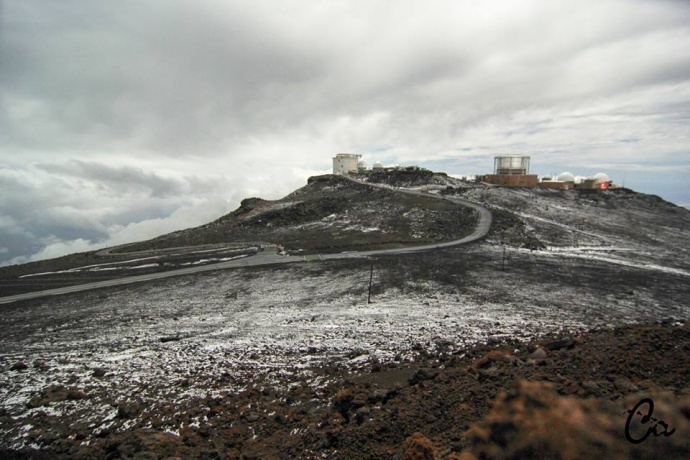 MauiNow has received observations of wintry weather from two workers at two observatories atop Haleakalā. Typically if a big snow event is expected the National Weather Service will issue a Winter Weather Advisory. That was not the case, however the conditions were right for light snowfall the evening of March 4, 2015. 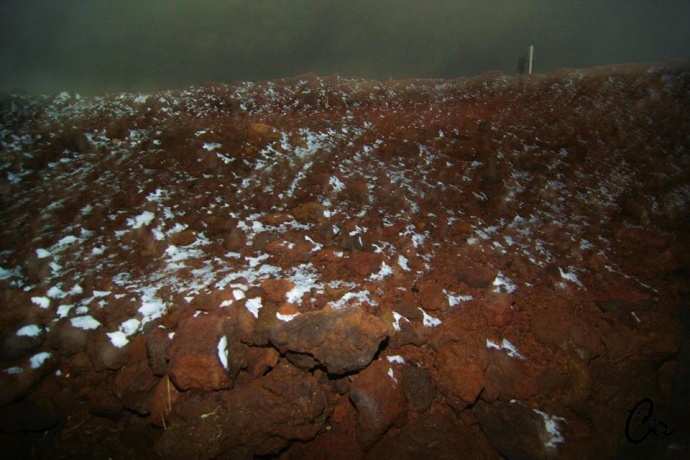 Haleakalā National Park staff were unable to confirm the reports as the ranger on duty did not observe such conditions. 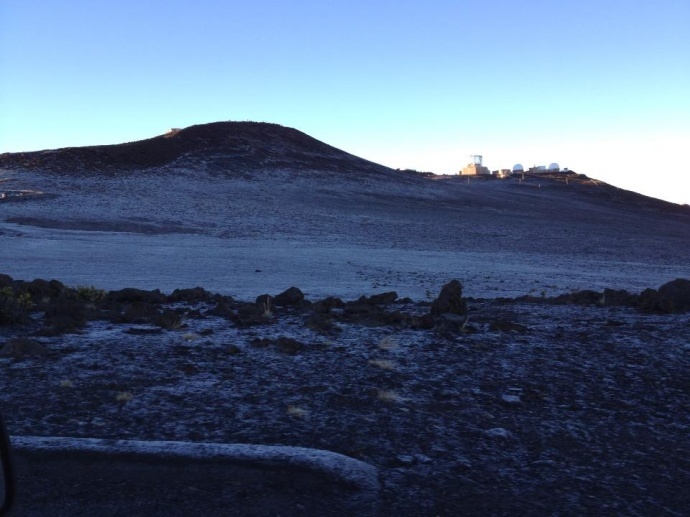 William Nill, another worker at a different observatory, captured this photo of a light dusting of snow at about 10,000 feet. He says it was taken at 6:18 p.m. right as the sun was setting. 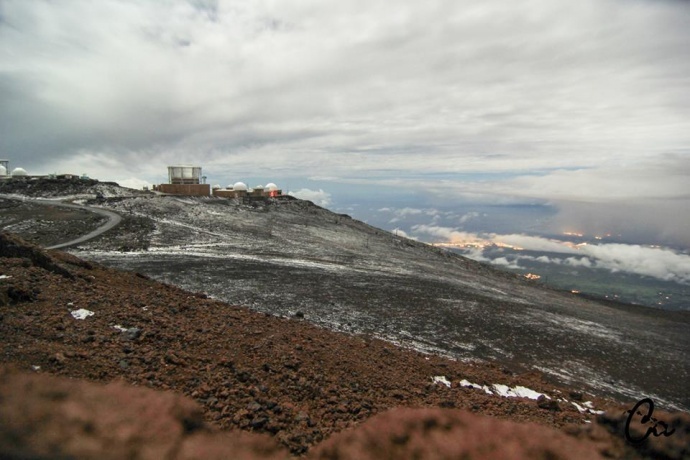 Real-time viewing of the summit area is available via the University of Hawaii Institute for Astronomy’s Haleakala web cams. 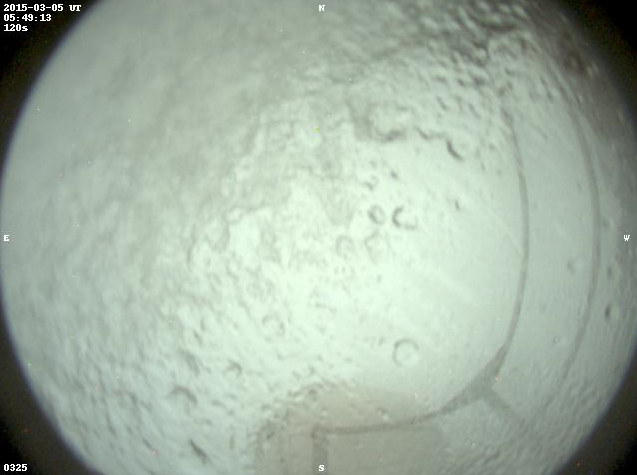 You can see the snow start building at 0200 UTC (4 p.m. HST) and start melting around 0630 UTC (8:30 p.m.). 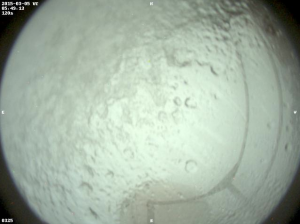 The web cam observations reflect the same timing observed by observatory workers. 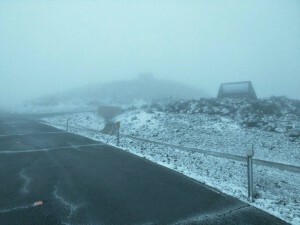 William says the snow had significantly melted by midnight and his co-workers reported no snow on the summit this morning when they headed to work. 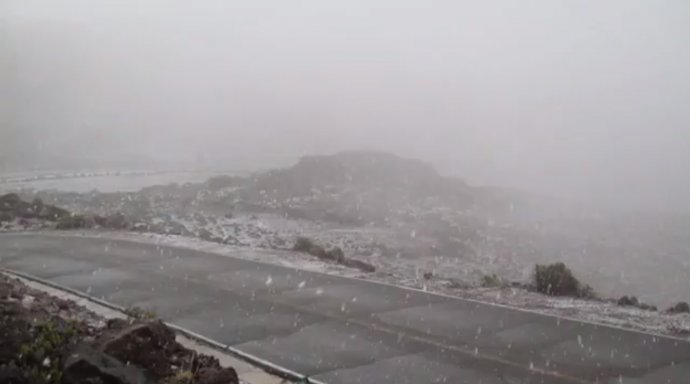 Wintry weather is not unheard of on the summit of Haleakalā. In fact, just two months ago on January 3, 2015 residents reported observations of snow on the summit. Park officials reported that it was actually ice and frost, which can look like snow from a distance. Frost is moisture from humid air that settles on the ground or on plants and freezes into ice. 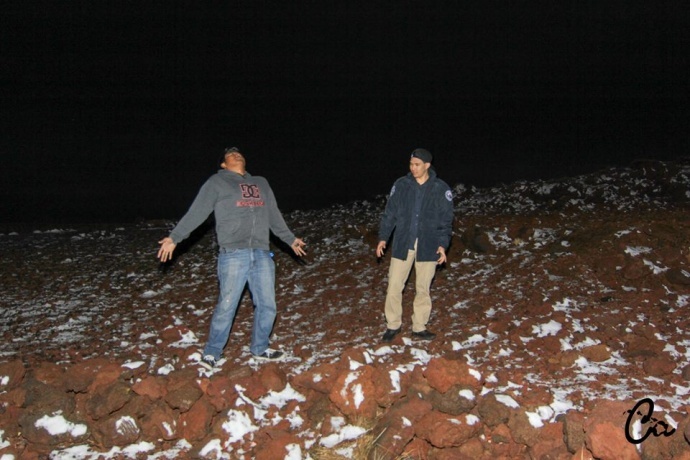 According to the two workers that observed yesterday’s wintry weather, it came from the sky. As frost is confined to the ground, we believe the precipitation that was observed was snow. Snow can only form in clouds as the ice crystals grow around condensation nuclei and then fall to the ground. 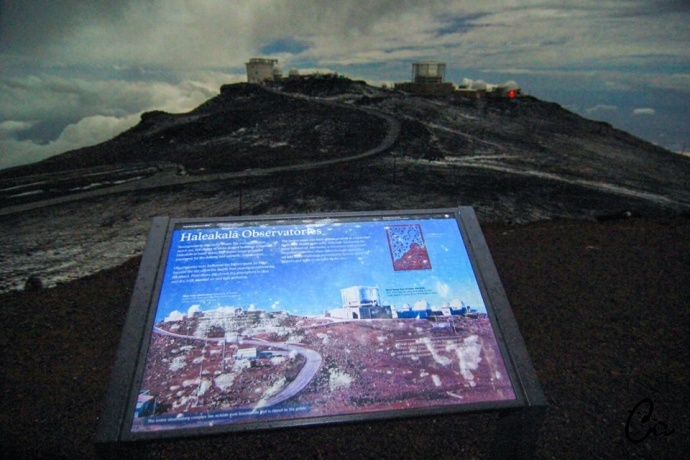 The peak of Haleakalā volcano is measured at 10,023 feet above sea level. 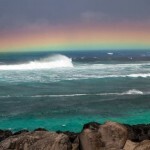 It is the highest point on Maui, and the third-highest point in the state.